First of all I want to thank all of you who came by yesterday and prayed for my sister and our family. To those who left comments, thanks so much for the verbal support. My sister said to tell you all thank you too! It is so wonderful to have such a wonderful network of friends who care and who band together to lift us up, encourage and support in times of need. Today is my birthday. Today I turn 40. 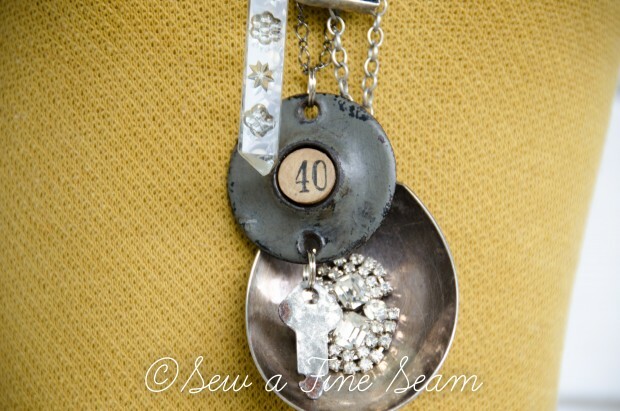 Today I am embracing 40! It’s strange in some ways. If I live a normal life and die of old age, then my life is about half over. And what have I done with that half of my life? Will anything I’ve accomplished really matter in God’s grand design of things? Have I lived for Him and done the best I could to influence the world I live in for Him? Sobering really. My husband turned 40 five years ago. So for the past 5 years I’ve thought a lot about this milestone. In some ways it felt like I was already 40 since he was. So I’ve had 5 years to contemplate and come to terms with turning 40. And I’m EMBRACING 40! 2 weeks ago I brought home this great new jewelry all designed and made by my friend Stacy. The first one I grabbed was the necklace with the 40 on it. 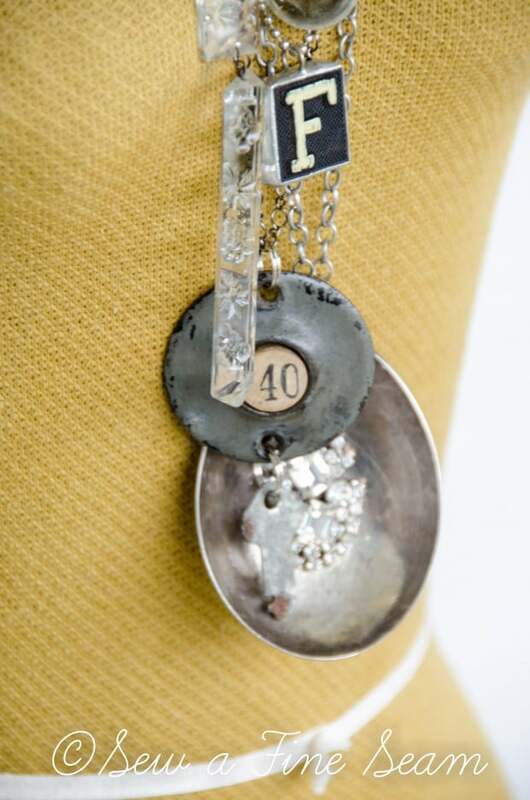 What better way to embrace the number than to get some new bling to celebrate it?! The ‘F’ I already had but think it goes very well with the ones I got from Stacy. 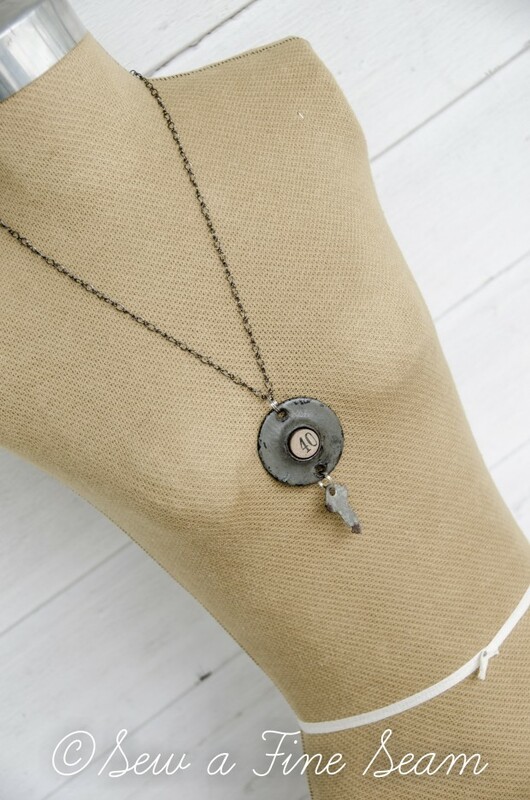 I’m loving the look of layering the necklaces made from vintage hardware, silver, and jewels. 40 kind of is a big deal. Like I already said, I’ve probably lived about half my life now. So I’m now on the down side of life – headed toward the finish line. I have aches and pains I didn’t have 10 years ago. I cannot keep going as long as I did 10 or even 5 years ago. I can’t pull all nighters like I once did! My natural hair color has a lot of gray in it – I’ve been covering that for 7 years now. And I’m not ashamed of that! I can’t see as well as I once did – even with my contacts. I have to adjust the distance I hold something to read it if the print is too small. Bifocals or reading glasses are probably in my very near future. Despite the things that may be classified as not so nice about turning 40 I’m still embracing it! Because there are some wonderful things about this decade. For me – I have much more self confidence than I did at 30. I have more courage to get out there and pursue the things I want to do than I did at 30. I went to an auction all by myself recently. I never would have done that at 30. (I had a total blast buying great stuff at that auction by the way!) Just 2 years ago I began paperwork to turn my sewing, crafting, painting into a real business. I never would have done that at 30. There is a maturity and wisdom that has been accumulated at age 40 that you just don’t have at 30. I’m embracing it! My sister had planned to be here this week for my 40th birthday. I mentioned that in yesterday’s post when I asked for prayers for her. Have you heard people say that they thought about doing something but didn’t? And someone else says ‘Oh well, it’s the thought that counts.’ This is one scenario that ‘it’s the thought that counts’ will have to do. I think the shots and the meds are helping my sister with the pain and we are praying that by controlling the pain she can heal and get back to normal soon. I miss her, it would have been so fun to have her and her kids here but God had other plans. So that’s my plans for the day. But of course it’s all ‘Lord willing’. He may have other plans. I’ll trust Him – He knows best. 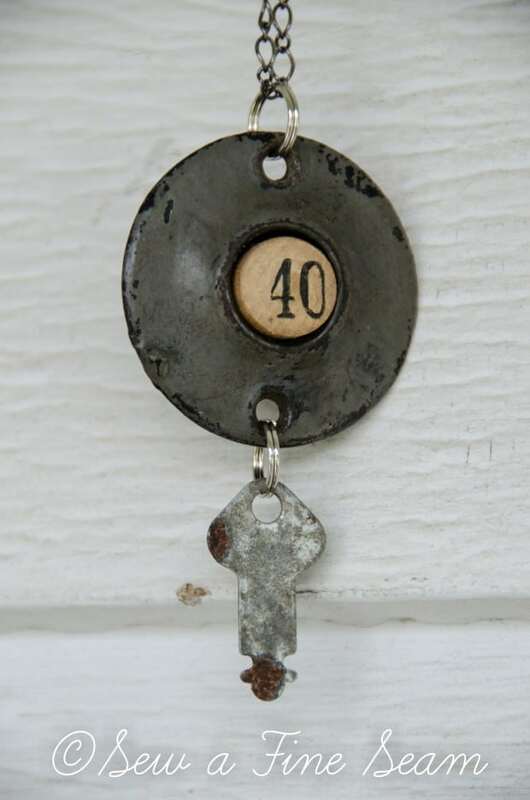 I would love to be 40 – that is very young. How would you feel about 65. And let me tell tell you life goes fast as it seems I was 40 just yesterday! yes time flies Bernideen! It seems like yesterday I had my first baby – now she is 15 and will soon be driving. And it goes faster all the time. Next time I turn around I’ll be a Grandma! Happy Birthday Jill! Hope you have a wonderful day! I turned 42 in Feb. I remember my mom being 43 when she had my sister and I! Growing up I said my mom was so old when she had us. While she was older than most of my friends moms now that I approach that age I think that isnt old lol. Thanks pam! Funny how our perspective on what is ‘old’ changes as we age! I remember when my parents turned 40 and it seemed so old! I asked my 10 year old if I seemed old to her and she said yes! Jill…you will love your 40’s!! I truly believe we get wiser as we get older and when you hit 40, you really start to wake up and see how some things in the past just aren’t working now (including some of those physical things you mentioned). The best advice I can give (I’m 54), is never let “age” stop you from doing something. And even as we rush toward that finish line, or reach the peak of the mountain, the way down the mountain is just as important. Each day is always a gift. Happy Birthday and sending prayers to your sister. Thanks so much Jane! I love your advice! Staying active and busy keeps you young! Happy Birthday!!! That is a big birthday. I hope you have a great day today embracing your new age. You’re right about hitting the halfway mark. I will turn 50 this year and I’m not that excited about that. It just sounds so old to me. But, I have to accept it. Thanks Kelly! If 40 is the new 30 then 50 is the new 40! You are NOT old! Have fun! I have loved every moment of my 40’s so far. I’ve always thought if I could go back to a certain age it would be the 40s. It was a time I look back to very fondly. But that being said, I am now looking ahead much more than back! God has wonderful things in store for us and they are getting closer every day! I praise Him for every day He has given and for any to follow, but also for eternal life through His Son, our Lord Jesus Christ. I’m excited about this decade! So much change the girls will be going through and so much could be different in 10 years! And it only brings us that much closer to our home in the New World with our Savior! Happy, happy birthday! Even if we are celebrating from afar! I love that Emma is so into creating a party for you. 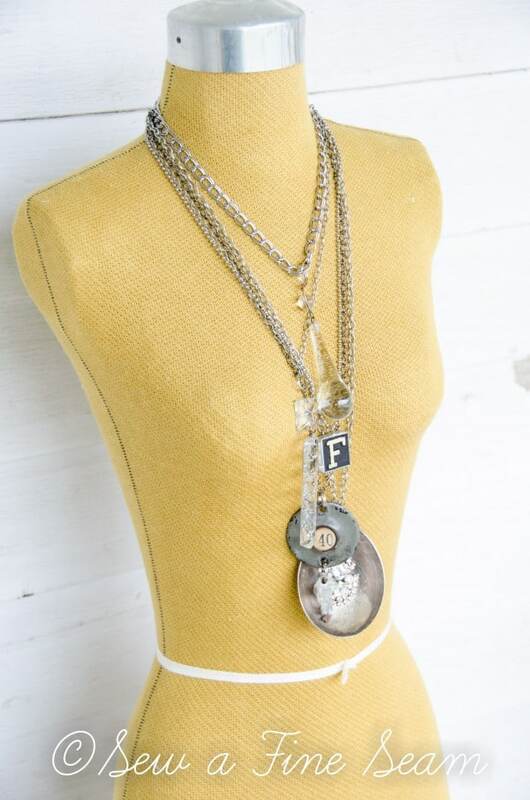 And I love the layered look of the necklaces too! Thanks so much! Glad we got to ‘see’ you a bit via webcam! What a lovely piece about your birthday. God does have control of our lives. The year I turned 40 (28 years ago) I was diagnosed with an auto immune disease called Sarcoidosis that did a number on my body and I still have affects from it today. As long as we want His will for our lives it all turns out for our best. Hope you have a fun and blessed birtHday. Thank you Nancy! I’m so sorry you have to deal with that – I’m sure I would view 40 much different if I were not in pretty good health. And you are so right – as long as we want God’s will for our lives we will have the best! Even if it is difficult He will carry us through and His plan is always best! I had a great weekend – hope you did too. Thanks so much Susan! I think it was easier for me because my husband is 5 years older and I had 5 years to think about it! HA! It sort of seemed like I was 40 for the past 5 years! I just wanted to tell you that your blog is just lovely. It’s classic, well designed, comfortable, and like sitting in a sun room smelling fresh flowers and sipping hot tea. Awww thanks so much Kelline!